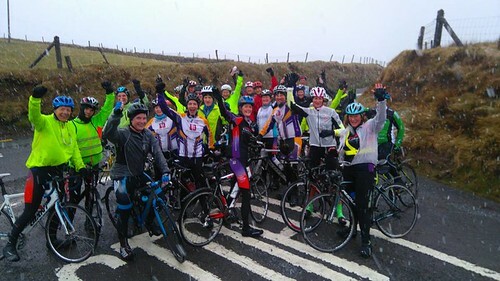 There was a great turn out at the weekend, despite the harsh weather conditions. All groups headed west. The 30’s, 28’s and 25’s brought the Lacey Cup route to life with their numbers and colour. The 22’s got part of the way up Gleann na Gaelt before heading back down to Castlegregory. We had somewhere in the region of 60 plus “athletes” out on the road. A great and a determined effort, considering the snow, rain and cold conditions. A big kudos to John Murray for organising Foley’s in Inch and to the staff for their slick organisational skills. How to put a wheel back on! Sunday was a complete write off weather wise. Thankfully we had plan B to fall back onto. A nice warm, dry hall in the Meadowlands for a very well executed puncture workshop. Tomás gave an excellent demo followed by a hands on oil, muck and low flying rubber workshop! 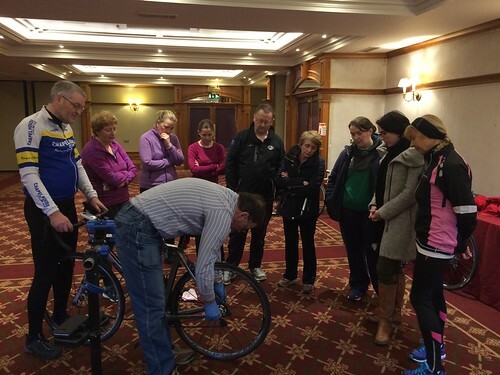 Coffee and scones were served later in the bar as we discussed the finer points of the wheel changing skill. An excellent job done by everyone who has taken on the role since February. The one thing that’s becoming apparent in the importance of this position. The team captains are the glue that holds the whole structure in place. 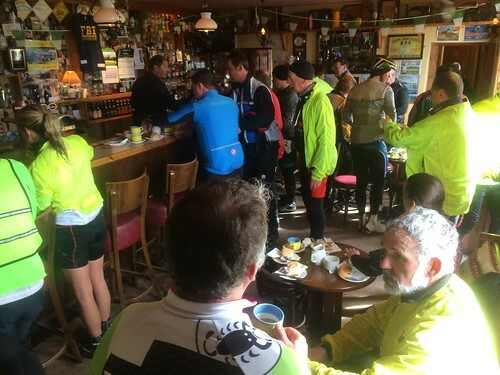 The route information prior to the weekend rides has become vital. It has been of huge benefit to our newer members and even older members. Just the knowledge of where the ride is going, the time, distance and break has put a lot of minds at ease. As can be expected, it’s a role that needs good organisation and willing members to step up to the plate and give it a go. The basics of the role is to call a route for a particular day and forward the information by Thursday evening. So far we’ve tried the approach of one captain electing the following weeks captain. Not hugely successful! Do we need to look at other ideas? Would a captains roster work? Conducted in a similar way to how we organised the mentored and 22 spins? Create a pool of willing participants and assign them their big day. The roster would be on the website? I would anticipate group captains to be deemed necessary from March to late October? Any ideas or input would be welcome. 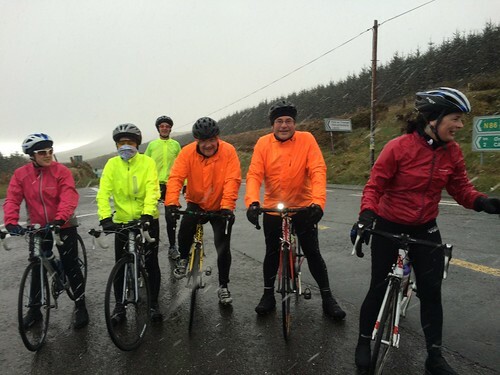 The rides will commence from the usual spot at Kerry CC buildings, Rathass at 6:30 pm. The routes will be decided that evening.